Being one of the most used rooms in a house, it’s important that your bathroom both looks and feels good. Choosing a tile has always been the focus when renovating a bathroom and having daily access to inspiration through social media makes it difficult to decide which style is best. We’ve looked at five trends which are said to be trending in the next year of bathroom design. Remember that this is for your inspiration only as your bathroom won’t be renovated every year. If you’re planning on revamping, pay attention to materials, colours and lighting and make sure they will make you feel relaxed for years to come! Gone are the days when the tiled floors of your bathroom blend into the background. Patterned tiles are here to give your bathroom the lift you didn’t know it needed. 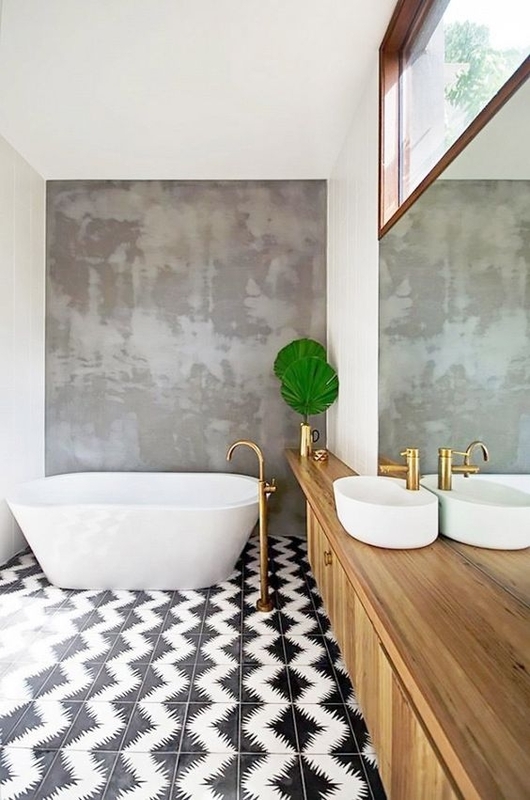 In 2019 the patterned tile trend will be making a reemergence which could be a reflection of the focus on artisanship and craftsmanship. 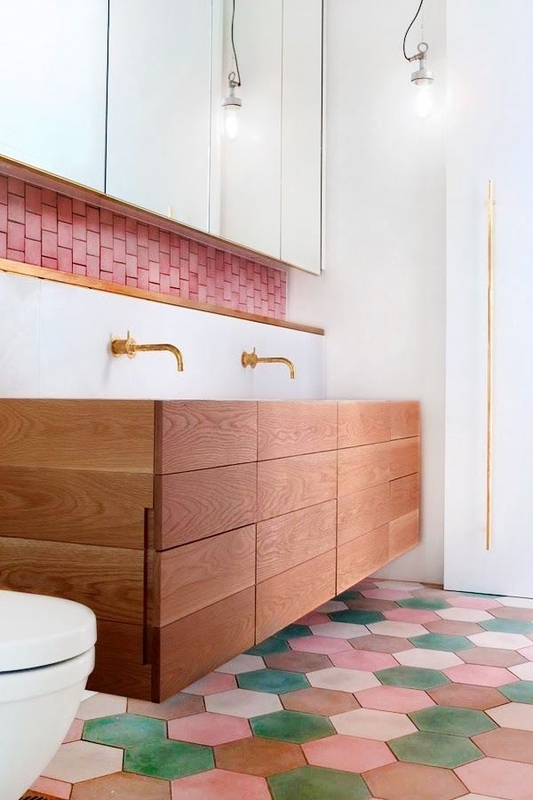 Tiles can now be found in nearly every colour, which is good news for colour lovers out there. Colourful tiles are a great way to add a unique focal point to your floors or walls. If you think you will get tired of it, work in small areas just enough to brighten up the space. A revamp doesn’t necessarily imply to buy everything new. Vintage looks are back! Allow your favorite old furniture to become your new vanity unit. 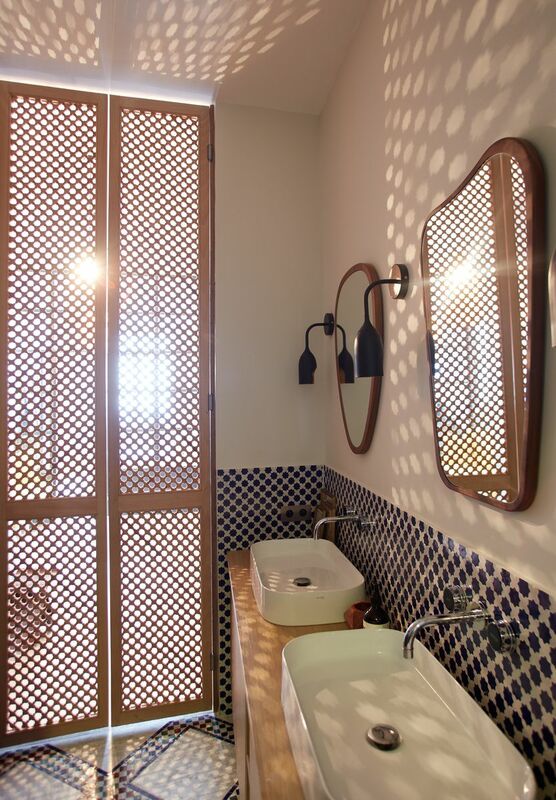 Mirrors and lighting from flea markets and second hand shops will bring a personal touch to your bathroom. Say goodbye to your typical horizontal subway layout and say hello to vertical tiles. This trend not only makes the room look more modern, it also gives off the illusion of a higher ceiling. It can’t be repeated enough, the bathroom is a place to relax and recharge your batteries. Choose materials, colours and lighting accordingly.